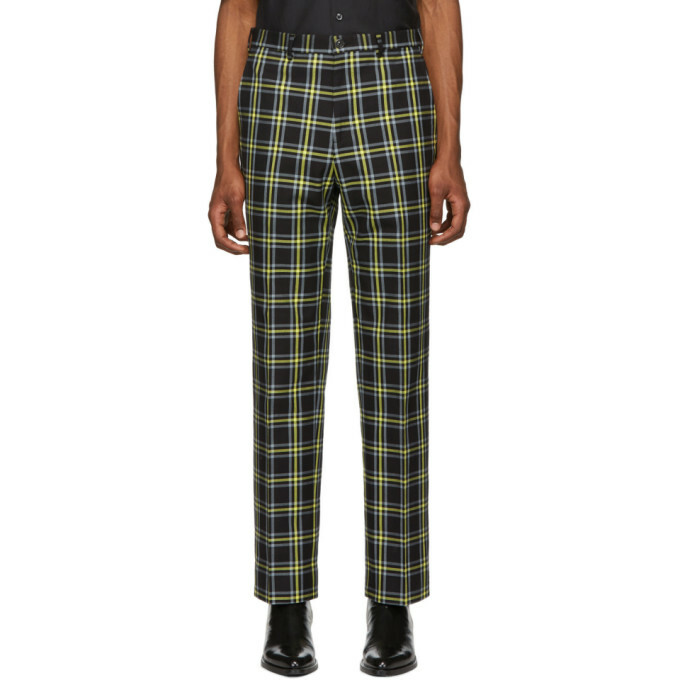 Slim-fit cotton twill trousers in black featuring check pattern in yellow and grey throughout. Mid-rise. Five-pocket styling. Belt loops at waistband. Zip-fly. 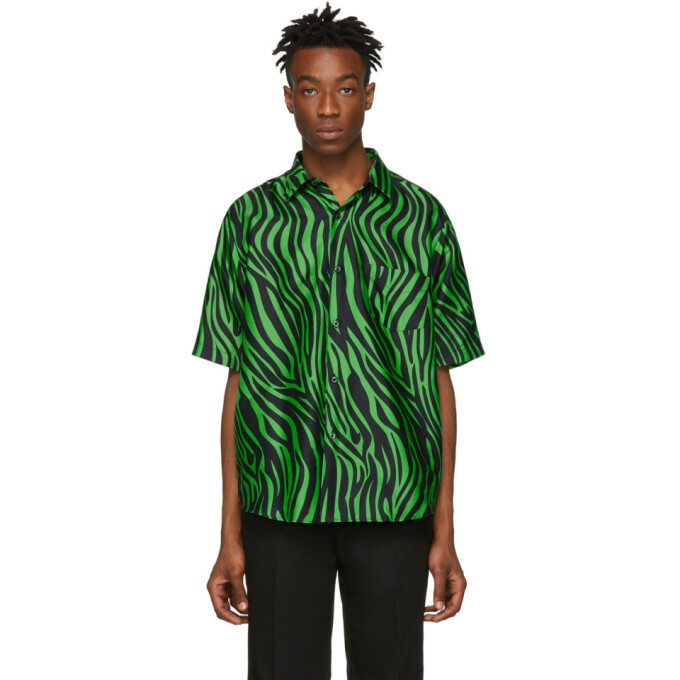 Short sleeve cotton and silk-blend shirt featuring graphic pattern printed in black and green throughout. Spread collar. Button closure at front. Patch pocket at chest. Shirttail hem. Long sleeve cotton and linen-blend twill shirt in black. Spread collar. Concealed button closure at front. Patch pocket at chest. Single-button barrel cuffs. Shirttail hem. Contrast stitching in white. 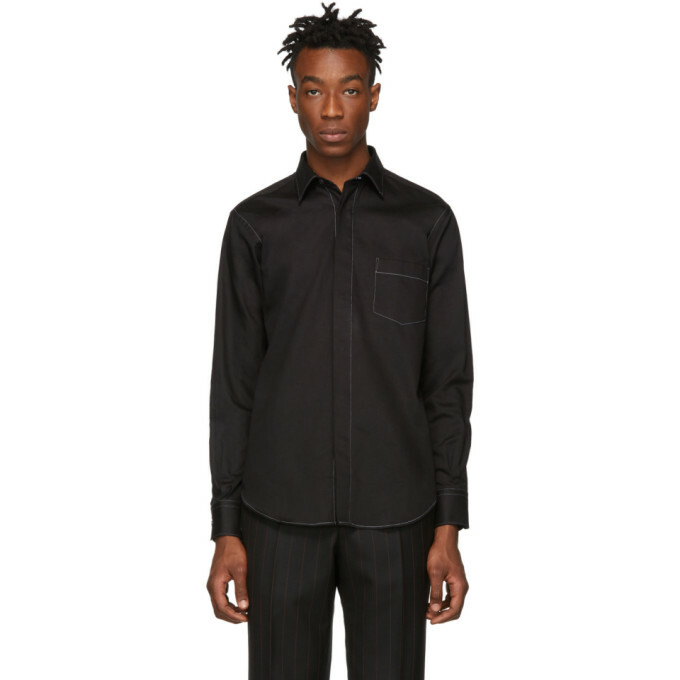 Long sleeve cotton and silk-blend twill shirt in black. Graphic pattern in pink printed throughout. Spread collar. Button closure at front. Patch pocket at chest. Single-button barrel cuffs. Shirttail hem. 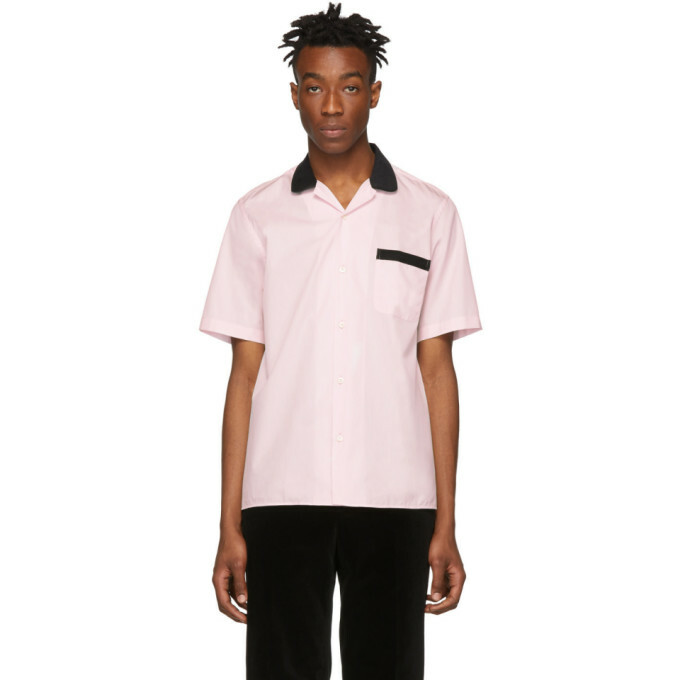 Short sleeve cotton poplin shirt in pink. 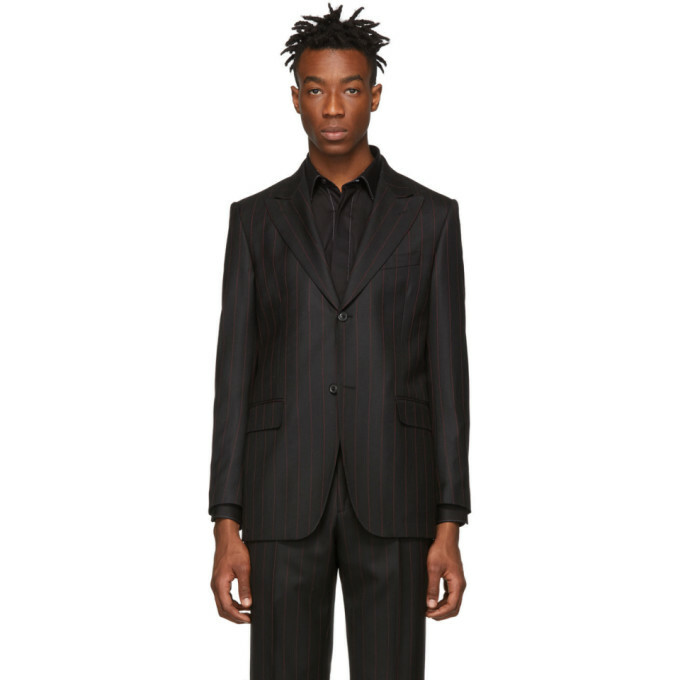 Corduroy trim in black at spread collar and patch pocket. Button closure at front. 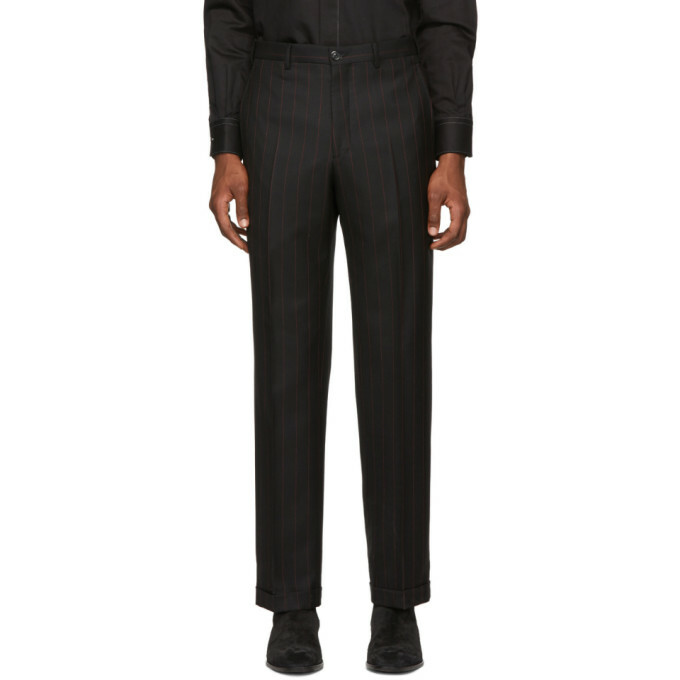 Slim-fit wool twill trousers in black featuring pinstripes in red throughout. Mid-rise. Five-pocket styling. Belt loops at waistband. Rolled cuffs. Zip-fly. 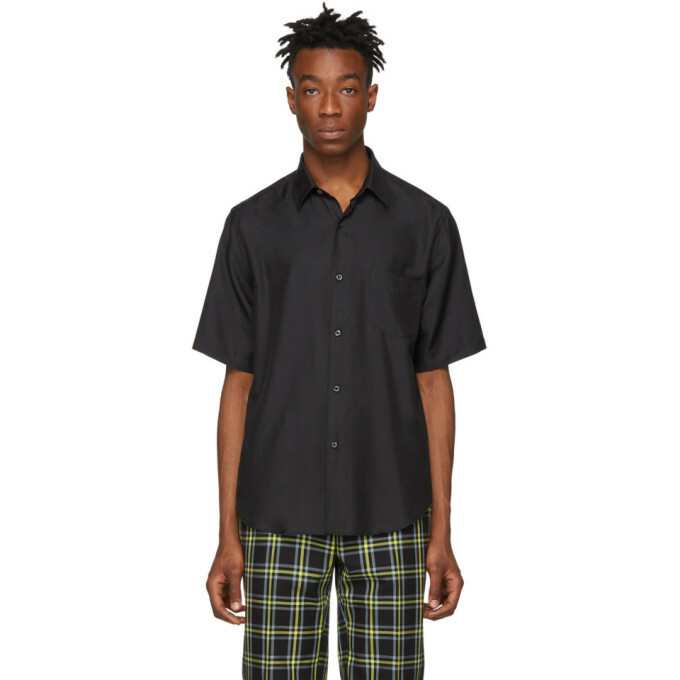 Short sleeve cotton and silk-blend shirt in black. Spread collar. Button closure at front. Patch pocket at chest. Shirttail hem. 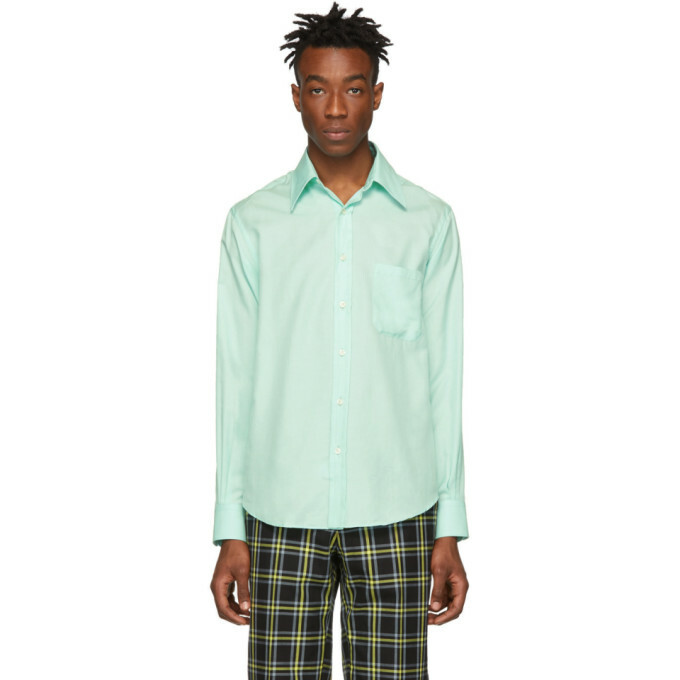 Long sleeve cotton and silk-blend twill shirt in 'sea foam' green. Spread collar. Button closure at front. Patch pocket at chest. Single-button barrel cuffs. Shirttail hem. 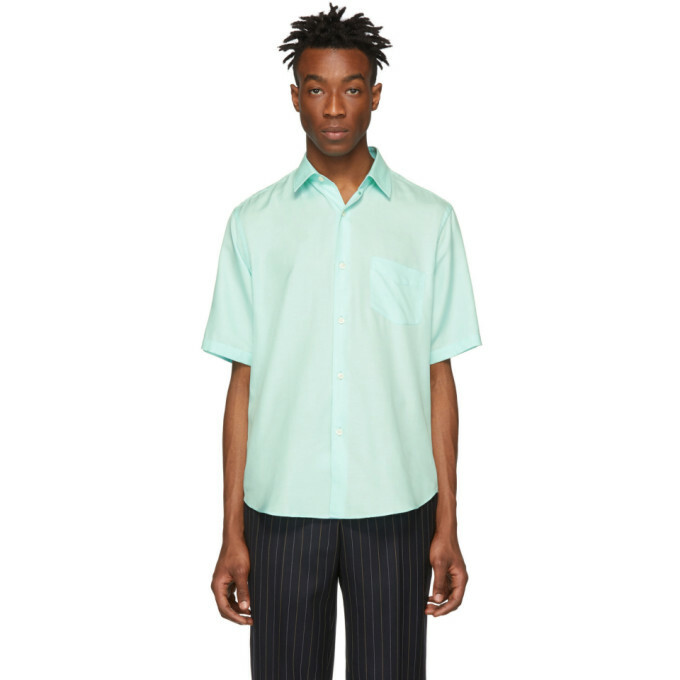 Short sleeve cotton and silk-blend twill shirt in 'sea foam' green. Spread collar. Button closure at front. Patch pocket at chest. Shirttail hem.